Schedule an appointment at one of our locations today. 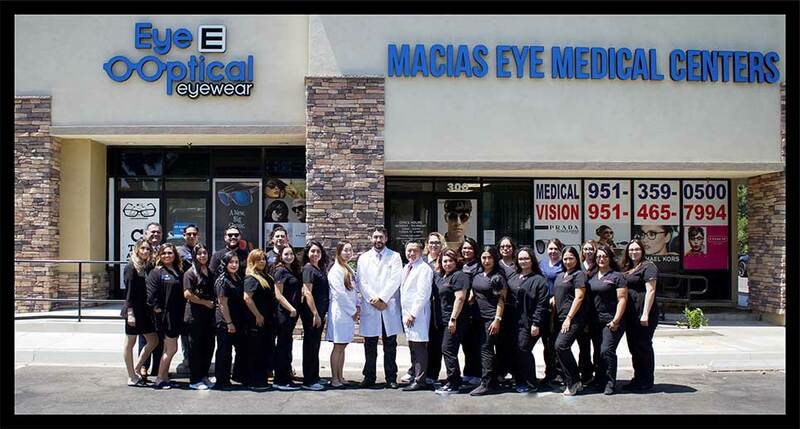 Dr. Eduardo P. Macias and the team at Macias Eye Medical Centers focuses on bring one-on-one care to each of our patients. We offer exceptional and advanced optometry and ophthalmology services ranging from routine eye exams to laser-assisted eye surgeries. With three convenient locations in San Bernardino, Riverside, and Fontana, our team of eye care specialists is always ready to provide outstanding vision care. Our team is led by our knowledgeable ophthalmologist, Dr. Eduardo P. Macias. Dr. Macias’s years of professional experience and dedication to bettering his community is what sets our eye care clinic apart. As a full-service vision center, the team at Macias Eye Medical Centers dedicates individualized care and attention for each patient we treat. In fact, personal and professional care and attention are what Macias Eye Medical Centers has been founded on. Whether you’re simply looking to update a prescription and buy new eyeglasses, or you need post-laser surgical care and management, Dr. Macias and his team are willing and able to assist. Emergency eye care – sudden vision loss, red eye, pain, etc. Punctal Plugs for Dry Eyes. We put each and every patient at ease by thoroughly explaining each step of the evaluation and treatment process. At Macias Eye Medical Centers, we want each patient to understand the importance of routine eye care and its impact on overall health and wellness. We have three convenient locations in Southern California. To contact our Riverside eye doctors, call us at (951) 359-0500. To contact our San Bernardino eye doctors, call us at (909) 885-3933. To contact our Fontana eye doctors, call us at (909) 427-8900.